On the ‘60s Batman TV show, Cesar Romero famously refused to shave his mustache for his role as the Joker, requiring the makeup people to simply paint over it. Now, the Justice League movie is facing another mustache crisis, but technology has come so far in the last few decades that nobody needs to laboriously paint over their facial hair. Instead, computers can magically wipe canon-breaking mustaches away in an instant. The Justice League movie is currently going through extensive reshoots with Joss Whedon (stepping in for director Zack Snyder, who decided to spend time with his family), but the reshoots are dragging on so long that they’re cutting into the cast’s other projects. 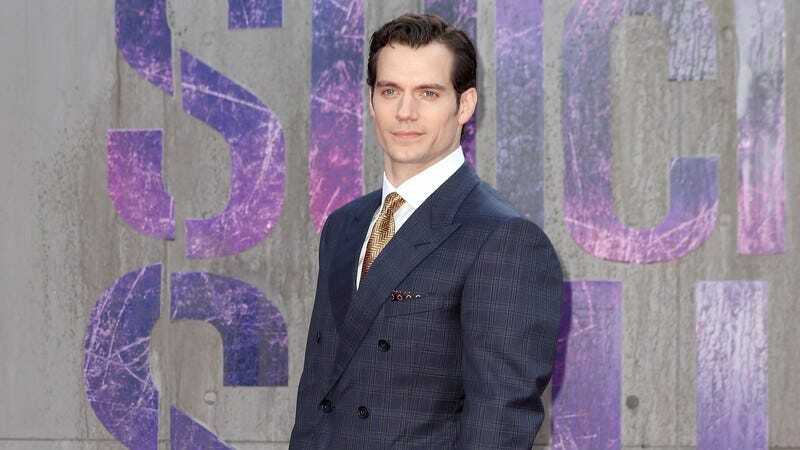 This is mostly an issue for Superman actor Henry Cavill, who had to grow a mustache for his role in the next Mission: Impossible movie. Paramount won’t let him shave the mustache for that movie, which means Warner Bros. has no choice but to digitally erase it for Justice League. Of course, this is all irrelevant, because Superman died in Batman V Superman: Dawn Of Justice, so it would be impossible for him to appear in Justice League—unless death is somehow meaningless in superhero movies, that is.